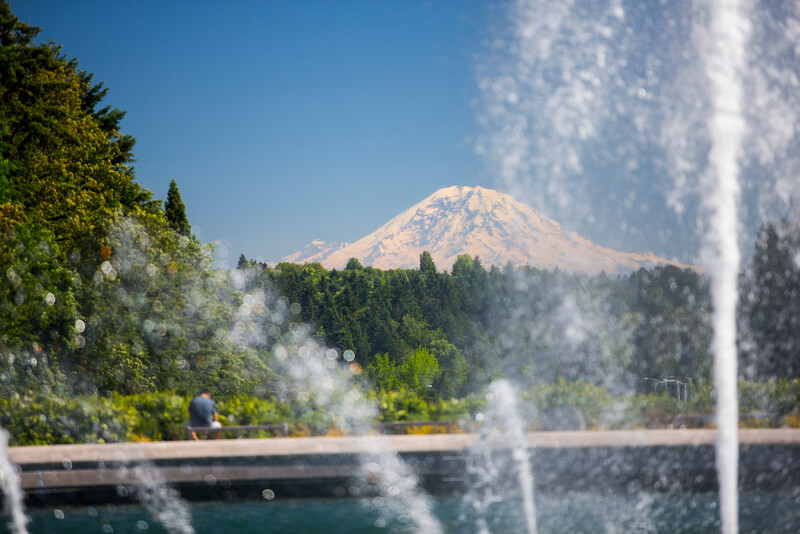 The University of Washington was one of several Seattle-area organizations featured in "Bright Green in an Emerald City," a new report by the Seattle Metropolitan Chamber of Commerce which details examples of business leadership and tangible progress by its membership. The report includes features on the UW Campus Sustainability Fund, wood salvage program, Mercer Court's rainwater capture laundry system, and the recycled steel used in the renovation of Husky Stadium, as well as stories of climate leadership by other businesses in the region. The Seattle Chamber said while the report focused on stories of progress, society still has a long way to go in the fight against dangerous climate change. The United States is the second largest carbon emitter in the world, after China. To preserve a chance of keeping average temperature rise to less than 2 degrees Celsius, the United States committed in the Paris Climate Agreement to reduce its carbon emissions by 26-28 percent below 2005 levels by 2025. Under any scenario, business leadership is required to meet this objective. “We still have a long way to go but it is increasingly clear that we can stop the worst impacts of climate change even as we grow the economy,” said Seattle Metro Chamber president and CEO Maud Daudon. “Business leadership is critical since it helps put to rest the false choice between a strong economy and a healthy environment. We can and must have both." The University of Washington's Climate Action Plan calls for a 15% reduction in total greenhouse gas emissions from 2005 levels by 2020 and a 36% reduction by 2035, with a goal of becoming carbon neutral by 2050. You can see the UW's progress toward this and other sustainability goals on our sustainability dashboard. Download the "Bright Green in an Emerald City" report.